Today I just want to share with you my finally finished( with a help of some really good people !) "bubble gum" goodies! Actually, I think it looks not as good as on human body, but still. Hope to make some photoshoot as soon as possible. What can I say about these garments... I think they somehow present my personality and my own style, because I really love bright and colourful clothes. However, sometimes just can't wear them for some reasons(for example uniform). For this lovely dress I have chosen a green/bubble colour material, black guipure for the top of the dress as well as a black corset. 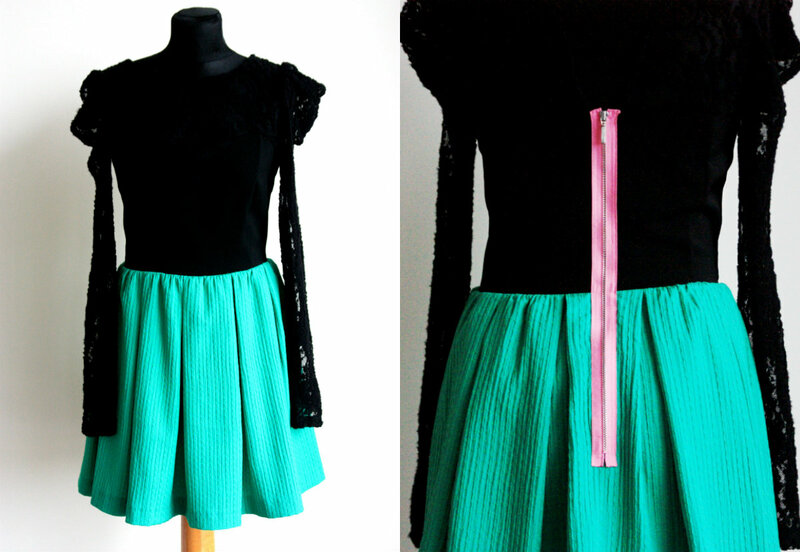 Moreover, I used a bright pink zipper to brighten this lovely garment and make it more "playful". 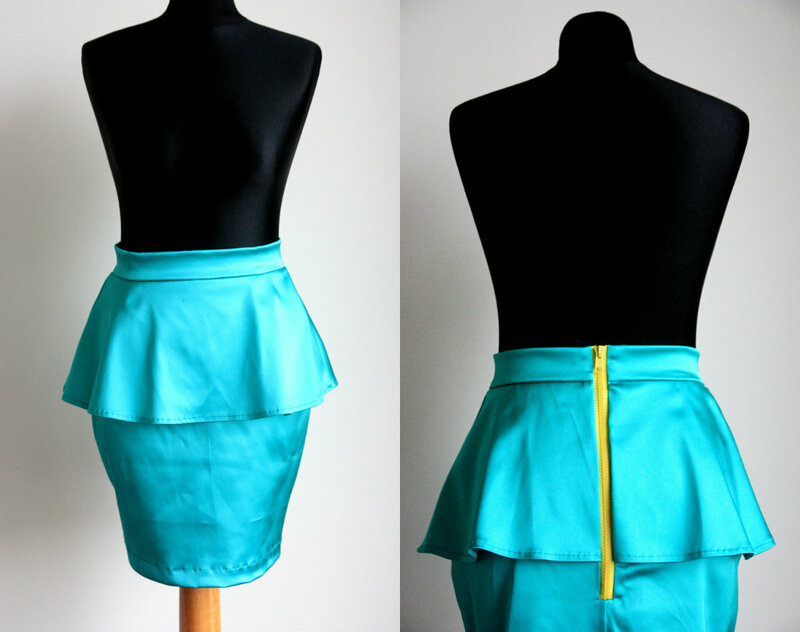 For this elegant skirt model I have chosen the turquoise colour satin and a bright lemon zipper to make it more modern and exclusive. So, what do you think about these? Because I really love it ! Waiting for your lovely comments and hope to learn how to sew as soon as possible ! I love it. Love the beautiful green color of the dress. Thanks,dear:) I'll visit your blog ! Dėkui labai ! realiai dar gražiau ta spalva atrodo !